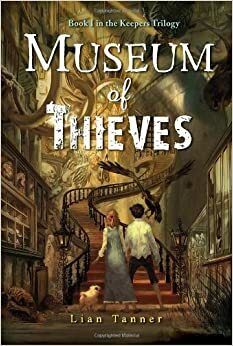 Lian Tanner’s Museum of Thieves is an exciting and appealing book. Goldie Roth, the main character, has lived in the City of Jewel, “where impatience is a sin and boldness is a crime.” Goldie is a thief but she rarely gets caught. One time however, she is caught by the Guardian Hope and Guardian Comfort. The guardians are the guards of the museum. They forced her to wear heavy brass punishment chains for eternity. But she escaped on Separation Day. Separation Day is when all the kids separate into other towns. She is forced to obey the dreaded Blessed Guardians against her will. She has seen violence everywhere and she wants it to stop. The writer of this novel makes the reader believe in the characters. The characters all have unique personalities and they all are great at one thing but terrible at another. The Museum of Jewel allows all the people to have their own personality. I like the characters in the book because they have unique personalities. The main characters can have many emotions at times. This is because unusual things happen to them, they can also be very emotional because when Goldie runs away her mother and father get very worried. There are four protectors of the City of Jewel: Sinew, The Grand Protector, Guardian Hope, and Toadspit. Broo the watch dog catches most of the action that happens in the halls. The theme of the book is a dark and mysterious. It is dark because there are many secrets that only certain people know. It is mysterious because when Goldie runs away, we don’t know where she goes until Toadspit finds her.